Red; 8″ tall; fixed with oils, herbs, and prayer. Candle by Lucky Mojo, charged and fixed by Catamara Rosarium using our ritually prepared signature incense blend of Kali and oils sacred to her. 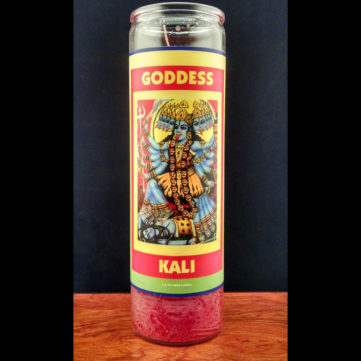 Specific Kali mantras will be chanted over candle when candle is set. Mantras vary and depend greatly on the petition of the customer. 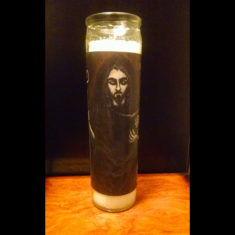 We are now offering loaded vigil candles. 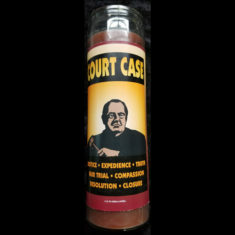 Vigil candles (or novena) are traditionally burned as an offering or prayer to a saint, god, deity, spell or purpose for a specific intention. Customarily they are lit on an altar, and a prayer or petition is included. They are intended to be lit and burn continuously until it burns out. Alternatively you can burn them in 15 minutedaily increments during waxing or waning moons cycles depending on your work. Vigils are often anointed with essential oils and dressed with herbs that are sacred to the saint, god, deity or intention. These oils and herbs can be offerings to the saint or deity, and/ or hold magical properties that will activate and enliven the prayer to enhance and propitiate the prayer and petition. 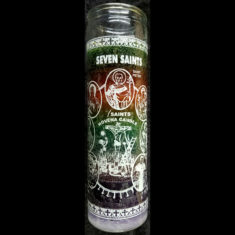 For a limited time, Rosarium Blends is offering a select array of glass incased Vigil candles from Lucky Mojo and local Seattle based artist Lis Wright Ivec. These candles have colorful paper labels of art relevant to their intention. 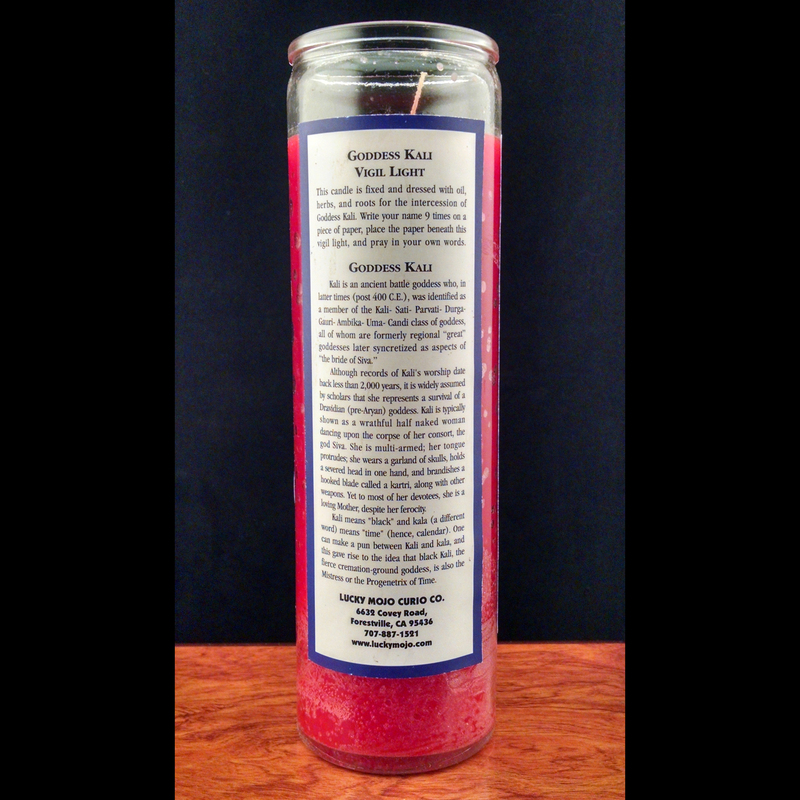 The Lucky Mojo candles include additional labels on the back which include spells and prayers. The candles are made of soft wax and names or petitions can easily be carved on the top layer. The color of wax selected for each candles also holds magical significance as they are appropriate to the conditions for they are used. 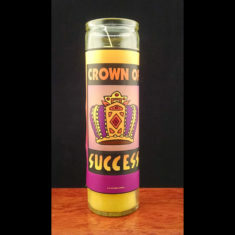 Each candle is already loaded with oils and herbs specific to its charm. 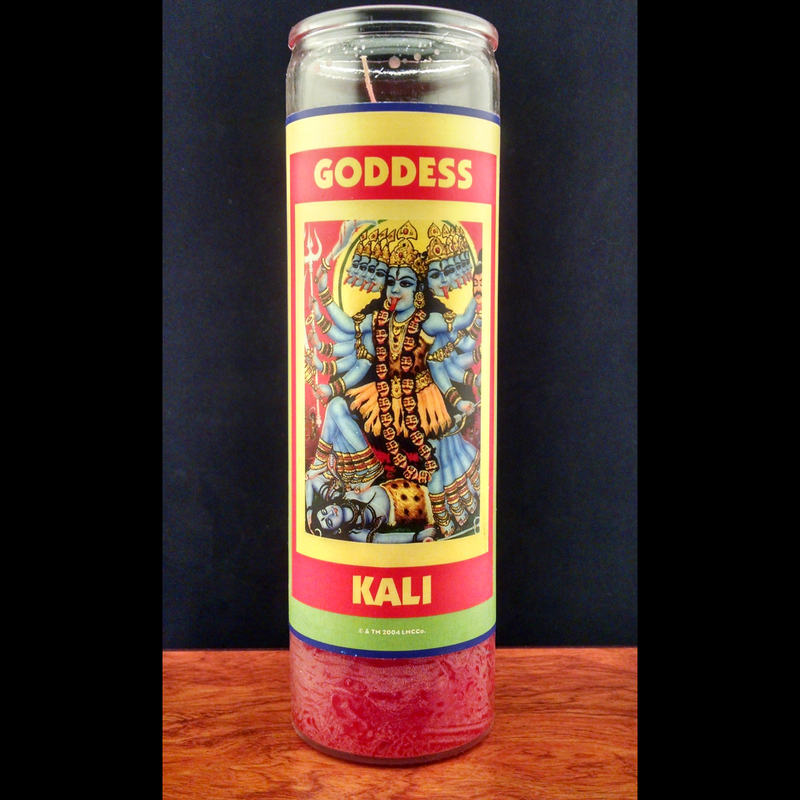 Be the first to review “Goddess Kali” Click here to cancel reply.